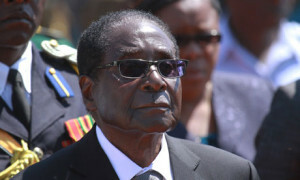 After demolishing his rival and surviving a court challenge to his re-election, 89-year-old Robert Mugabe was sworn in as president of Zimbabwe on August 22, vowing to fulfill a campaign promise of transferring more corporate wealth to the black citizens of the southern African nation. Up till now, the policy known as “indigenization” – which mandates that foreign-owned businesses hand over majority control in their Zimbabwe operations to government-approved investors [give away 51% of their companies to black Zimbabweans; Mugabe calls it a self-empowerment policy, which takes a 51 percent stake in all existing foreign owned businesses and gives it to black Zimbabweans] – has been only haltingly implemented since it was adopted by parliament in 2008. The main stumbling block was Mr. Mugabe’s coalition partner, former Prime Minister Morgan Tsvangirai, whose party said the policy as outlined would deter foreign investment and undercut the economy. Mr. Mugabe’s inauguration comes 48 hours after the country’s constitutional court declared his win in the July 31 election valid, despite an initial challenge by Mr. Tsvangirai. The former prime minister later withdrew the challenge, saying his party was deprived of voter information to build its case. Mr. Tsvangirai boycotted Thursday’s inauguration. Mr. Mugabe won 61% of the July 31 vote, but poll observers later found that many registered voters were turned away at voting stations, the electronic voter roll wasn’t provided and around one million registered voters were discovered to have been deceased. Mr. Mugabe’s Zanu-PF party denied it manipulated the vote. Following the election, regional trading bloc Southern African Development Community signed off on the vote as free and peaceful and called on western countries to lift sanctions against Zimbabwe. But the U.S. said the elections weren’t fair and were seriously flawed. As a result, the U.S. said this week that it won’t change the sanctions it has against individuals and companies in Zimbabwe until reforms take place. How Mr. Mugabe implements the indigenization plan could prove pivotal for an economy that was once the shining star of southern Africa. Mr. Mugabe’s green light for his political supporters to seize white-owned farms beginning in 2000 sent the economy into a tailspin and triggered hyperinflation. A troubled unity government, cobbled together after violent 2008 elections, managed to halt the free fall. But Mr. Mugabe had to abandon the national currency in favor of the U.S. dollar and surrender much of his control over the economy. His chosen successor, Sheikh Tamim bin Hamad al-Thani has been groomed for leadership but the early handover comes at a sensitive time when Qatar’s role in the Syria conflict and the Afghan war is crucial. The British-educated crown prince, who is effectively the owner of Paris Saint Germain football club, stood alongside his father to receive visitors at the royal palace in Doha. The scenes were dramatically different from those in 1995 when Sheikh Hamad mobilied the armed forces to declare himself ruler while his own father was on a trip to Geneva. “The time has come to open a new page in the journey of our nation that would have a new generation carry the responsibilities (armed) with their innovative ideas and active energies,” the emir said in a televised speech. The decision marks the “beginning of a new era in which a young leadership will hold the banner,” he added. Sheikh Hamad used Qatar’s immense gas wealth to drive its modernization with a sovereign fund estimated to be worth more than $100 billion. Its portfolio includes landmark real estate, luxury brands and a powerful presence in the sporting world. A diplomat said that by freely stepping down the emir would “score a first in the Arab world,” where autocratic rulers held power uncontested for decades until the Arab Spring revolutions that toppled regimes in Tunisia, Egypt and Libya. Tamim, born in 1980, is the second son of the emir and his second wife Sheikha Mozah and has been groomed for years to take the helm of the super-rich Western ally. Tamim is deputy commander of the armed forces and head of the National Olympic Committee. He also chairs the Qatar 2022 Supreme Committee in charge of hosting the 2022 FIFA World Cup. Diplomats said that over the past three years the emir has increasingly transferred military and security responsibilities to Tamim, who like his father went to the British military academy Sandhurst. The tiny Gulf peninsula holds the world’s third largest gas reserves and produces roughly 77 million tons of liquefied natural gas per year, making it the world’s largest supplier. Its population of 1.87 million, less than 250,000 of them citizens, has seen its per capita income shoot up to $86,440 a year. Qatar took part in the armed intervention in Libya and actively supports rebels trying to topple Syrian President Bashar al-Assad’s regime. It has also played host to a delegation of the Afghan Taliban, which opened an office in Doha last week in preparation for expected talks with the United States about how to end a 12-year-old conflict in Afghanistan. The Gulf state also developed a powerful media empire through Al-Jazeera, the first pan-Arab satellite channel which also broadcasts in English, and recently launched Al-Jazeera America. 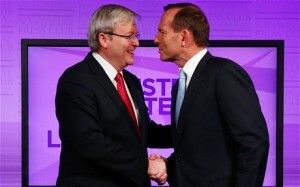 Australian Prime Minister Kevin Rudd (left) and challenger Tony Abbott. Tony Abbott, Australia’s opposition leader (who is running for Prime Minister in the Sept. 7 election), has offered to pay bonuses of up to £10,000 [$15,500] to unemployed young people who find a job and stay in it. The plan, aimed at reversing Australia’s growing unemployment, would pay a £1,200 [$1,860] bonus to people under 30 who have been on the dole for a year or more and then stay in work for a year. The full bonus would go to those who stay in work for two years and move from a city to a regional area to take a job. Mr. Abbott, the London-born head of the conservative Liberal-National coalition, has been proposing a return to the work-for-the-dole plan if, as expected, he wins the election on September 7. The plan was introduced by the previous conservative government in 1997 but largely scaled back by Labour since 2007. Australia’s economy has been labelled one of the strongest in the advanced world but has begun to slow as the decade-long China-fuelled mining boom ends. More than 140,000 Australians have been unemployed for more than 12 months. Kevin Rudd, the prime minister, has warned that Mr. Abbott’s plans for British-style austerity measures will lead Australia into a recession. b) What media outlet is owned and run by the Emir? b) What do you think of Mr. Abbot's proposition? Ask a parent if he/she would mind part of their income tax going to pay other people to stay in a job. In newspaper advertisements taken out following Mugabe's Zanu-PF win, the party promised a "unique" wealth-transformation program. 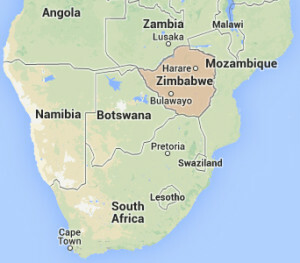 Zanu-PF said there are still 1,138 companies that need to be "indigenized." Zanu-PF...makes vast promises to raise billions of dollars from the indigenization deals which it will then translate to loans for small business and to improve roads and health care. To jump start that program, the party says it needs to complete more deals with companies. Many of the country's biggest mining companies and banks, who have been identified as candidates for indigenization, still must sign indigenization deals. Yet talks to conclude the deals have stalled and won't resume until Mr. Mugabe appoints a new cabinet, expected within days. Already companies and the government have clashed over plans to seize the stakes without compensation. "We won't give 50% away free," Anglo American Platinum Ltd.'s chief executive officer Chris Griffith said last month, just ahead of the election. The company this week said it "remains committed to implementing the approved indigenization plan" and that negotiations are still ongoing to be able to do this. Mr. Mugabe's allies insist they will demand majority stakes without payment because the minerals in the ground belong to the country. Other industries such as banks, which unlike mines have virtual assets, and manufacturing, which creates jobs and brings new skills to the country, could receive more lenient treatment under the policy, according to the current Minister of Indigenization Saviour Kasukuwere. Such a hard line has caused concern among investors and analysts. "It is still possible for investors in more lucrative sectors, such as mining and banking, to remain profitable although the long-term feasibility of operations remains in doubt," Charles Laurie, head of the Africa division at risk analysis company Maplecroft. Ruled by the Al Thani family since the mid-1800s, Qatar transformed itself from a poor British protectorate noted mainly for pearling into an independent state with significant oil and natural gas revenues. As of 2007, oil and natural gas revenues had enabled Qatar to attain the highest per capita income in the world. Qatar’s international image is bolstered in part by the Doha-based Al Jazeera news network. Since his rise to power in 1995, Qatar’s emir Sheikh Hamad bin Khalifa Al-Thani has hosted several Islamist leaders in exile while Qatar’s Al-Jazeera pan-Arab news broadcaster has provided an open platform for outlawed Islamists to air their views. Sheikh Tamim has been the designated heir for almost a decade and has already put his stamp on some of the state’s signature policies, including the national development plan to make Qatar a global hub in the Middle East. While he has worked closely on Qatar’s bids for global events, including the World Cup and the Olympics, he has also taken a greater interest in political Islam. The new emir is said to be more religious than his father, and pressures have been growing on the government to do more to preserve Qatar’s Arab identity and conservative ideals. A personable [student when attending the best private schools in Great Britain], Sheikh Tamim has impeccable English and two accomplished wives. Tamim enjoys close ties with Western military officials and is seen as open and hard-working by foreign diplomats. He is also the prime mover behind Qatar’s close alliance with the Islamist Muslim Brotherhood, which has risen to power in Egypt and acted as the linchpin of the uprisings in Libya and Syria against the secular dictatorships. Qatar has huge oil and gas riches that feed one of the world's largest and most acquisition-hungry sovereign wealth funds, estimated at more than $100 billion. Its holdings have included stakes in London's capital's Harrods department store, the French luxury conglomerate LVMH Moet Hennessy Louis Vuitton and Paris Saint-Germain football club. 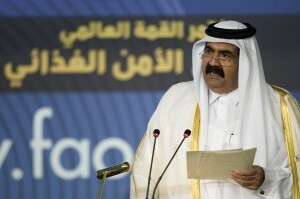 Qatar also has pledged billions of dollars to help businesses in debt-crippled Greece and Italy. Qatar's political aims are equally ambitious. It has served as mediator for peace efforts in Sudan's Darfur region and among rival Palestinian political factions. It is currently hosting envoys from Afghanistan's Taliban for possible U.S.-led talks seeking to stabilise the country before the American troop withdrawal next year. Qatar has played a central role in the Arab Spring by providing critical aid for Libyan rebels last year and now a leading backer of Syria's opposition. Qatar's government founded the television network Al Jazeera in 1996... The state-run Qatar Airways is among the world's fastest-growing carriers. Is such a transition unusual? It is exceedingly rare among the ruling Gulf Arab dynasties. Most leaders remain for life or have been pushed out in palace coups. Qatar's outgoing emir, Sheik Hamad bin Khalifa Al Thani, took control in a bloodless coup against his father in 1995. The change in Qatar was believed to be prompted by health problems with the 61-year-old Sheik Hamad, but Qatar officials have not publicly disclosed any details. Yet it reinforces Qatar's bold political style. The transition to the 33-year-old crown prince, Sheik Tamim bin Hamad Al Thani, appears a direct response to the Arab Spring demands for reforms and its emphasis on giving a stronger political voice to the region's youth. It also upends the ruling hierarchy among neighboring Gulf allies dominated by old guard leaders such as the 90-year-old King Abdullah in Saudi Arabia and Kuwait's 84-year-old emir, Sheik Sabah Al Ahmed Al Sabah. Tony Abbott is running as the Liberal Party candidate. The Liberal Party of Australia is one of the two major Australian political parties. Founded in 1945 to replace the United Australia Party (UAP) and its predecessors, the center-right Liberal Party competes with the center-left Labor Party (Prime Minister Kevin Rudd is head of the Labor Party). Mr. Abbott has pledged to abolish Labor's carbon tax and mining tax, cut the public sector and pay up to £10,000 to unemployed young people who find a job and stay in it. A staunch social conservative, he has resisted the support of the public - and his daughters - for gay marriage, even after his sister, Christine Forster, came out as a lesbian. But he has shown a strong commitment to social justice and has made the somewhat unusual pledge to spend a week a year governing from a remote Aboriginal community if he wins. During the campaign, he gave a candid insight into the beliefs that may serve as a guide to an Abbott-led Australia. "We are all the products of the society, of the culture, of the circumstances that have shaped us," he said. "I'm not saying that our culture, our traditions are perfect, but we have to respect them. I'm not someone who wants to see radical change based on the fashion of the moment." Mr. Abbott has launched a series of withering attacks via short, highly effective slogans. He labelled the carbon tax a "great big new tax" and responded to the ongoing arrival of boat people with the mantra, "stop the boats." In 2010, he fought an election against Ms. Gillard and came close to victory, leaving the government with its first hung parliament in more than 70 years.